Incorporating the cloud model into a storage strategy helps IT meet its overarching goals. This column spells out how and why, as well as what to expect from the industry in 2018. Just a few weeks ago, Microsoft made a relatively unheralded acquisition of a company named Avere Systems. Avere’s raison d’etre is enterprise storage. In their own words, “Avere Systems was created by file systems experts determined to reinvent storage by changing the way enterprises thought about and bought storage resources.” Ostensibly, Microsoft purchased this firm to add cloud-based storage capabilities to its ever-expanding portfolio. From my perspective, I cannot think of a more appropriate and indicative event to kick off what will surely be a transformative year for the storage industry. All across this market segment, new startups are gaining market share while more traditional storage OEMs are looking for new ways (M&A or otherwise) to augment their product functionality. Like every other aspect of IT, the cloud era is disrupting the storage market and changing the way IT must address its needs. Together, you and I are going to follow this transition and discuss how it will impact you – the IT talent responsible for storage resources within your organization. Why should we concern ourselves with this shift? Despite not having disclosed terms of the deal, the fact that a behemoth like Microsoft is investing in this transition should raise a significant red flag for everyone in this industry. Not to mention, it is hardly the only example of this movement. In the interest of full disclosure, it should be noted that I founded and run a storage vendor headed down this path (Morro Data), but then again, we’re hardly the only ones on the block. Companies like Nasuni, Pazura and Avere are all examples of this trend. Let’s start at the beginning – what are the market realities that are driving this shift and what benefits can businesses expect to reap as a result? In lock-step with the rise of the cloud era, Big Data and the analytics that mine it for value headline a massive increase in the volume of data with which businesses must store, manage and protect. The only thing Clive Humby – the man widely attributed with saying “data is the new oil” - got wrong with his 2006 analogy is that we are making more and more data with no end in sight. IT storage folks realize that with this scale and value, the cloud model must be leveraged to cope with this trend. To reap value from this data, there are increasing demands for more agile IT infrastructure capable of delivering the organization the insights and information from IT’s storage assets. That means cloud access and cloud storage. If we’re going to build digital businesses leveraging data as our primary asset, we’re going to need to do a better job in protecting our most valuable asset. This means comprehensive defenses against hackers and natural disasters alike. This cannot be achieved without leveraging the cloud in some manner. Simplified infrastructure. Access from anywhere with Internet access? That sure makes it a lot easier to connect users with the information they need. Security/disaster recovery. Whether it’s thwarting ransomware, another layer in an existing protection scheme, or rebuilding after natural disasters like fire, etc., cloud-based recovery is superior to on-premise storage in almost every way. Now if all of this is true, you may ask “What’s standing in the way of IT ditching on-premise storage altogether?” There is a simple, one-word answer– performance. Since time immemorial, this has been the one attribute to trump all others when it comes to IT. As it stands, applications run faster and better when they have immediate real-time access to data – that cannot be denied and is the reason that, in the near-to-mid-term, on-premise storage isn’t going anywhere. So how to reconcile these conflicts? As always, the real answer will be specific to your own organization’s unique needs. However, there is a high likelihood that some combination of compute resources and storage resources will be deployed in a hybrid scheme depending on where potential performance bottlenecks may exist. 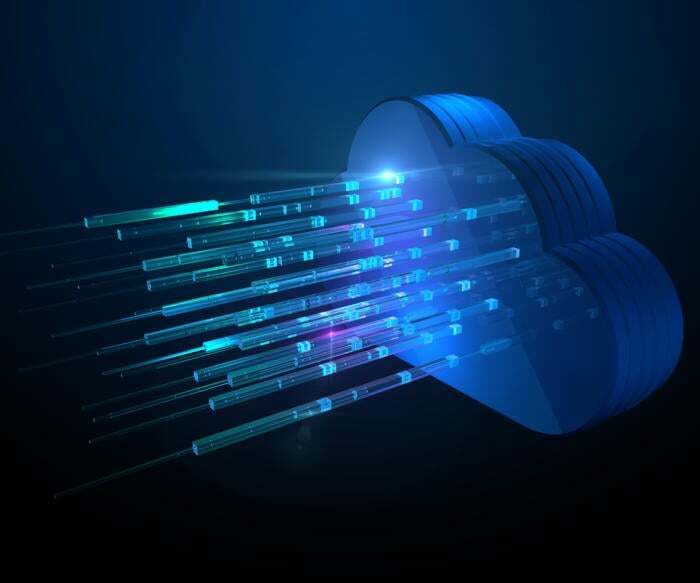 And that will be the focus of this column – examining the transition of storage to the cloud and how it can be best optimized to help your business. I look forward to a great deal of conversation on these approaches. Paul Tien, CEO of Morro Data, is a storage industry veteran that has been developing new models for storage technology over the last two decades. He helped to create the market for consumer and SMB Network Attached Storage (NAS) with the popular Infrant ReadyNAS line of storage appliances, which was later acquired by NETGEAR in 2007.